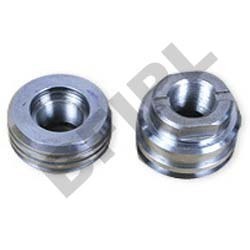 We are a professional manufacturer of the industrial specific machined products widely used due to its fabulous quality and unbeatable performance. We provide a list of products under this product line such as the Bar Machined Components and the Piston Parts. These products are made up of reliable source materials which speak for its quality and sturdiness. Precision Machined ComponentsThe robust Precision Machined Components we provide is a highly resilient product with multi-elaborated features. This performance centric product is very useful equipment used in the agri-business. This capable component is a beneficial product both in terms of quality and price. We deliver these product at the most beneficial and affordable rates. The robust Bar Machined Components we provide is a highly resilient product with multi-elaborated features. This performance centric product is very useful equipment used in the agri-business. This capable component is a beneficial product both in terms of quality and price. We deliver these product at the most beneficial and affordable rates. Looking for Machined Components ?